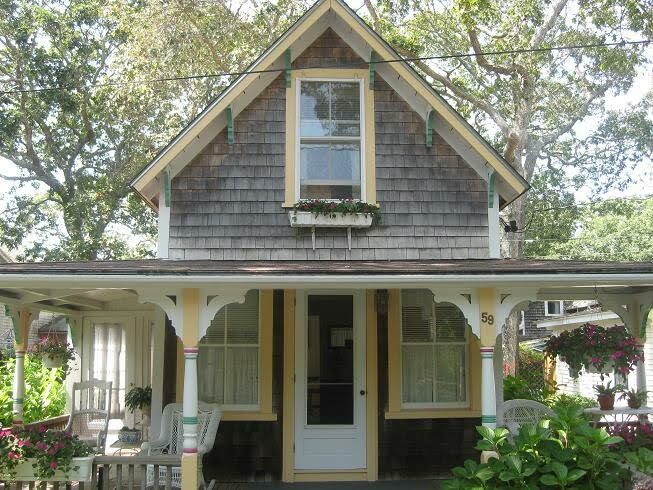 Take a step back to the “good old days” in this charming two-bedroom gingerbread cottage just steps from the beach and town. The cottage is bright, clean, and cozy, with plenty of space for your family. Enjoy an eat-in kitchen with full size refrigerator, a comfortable living room, and plenty of outdoor space, including a traditional front porch, back deck with grill and outdoor shower, and screened side porch. 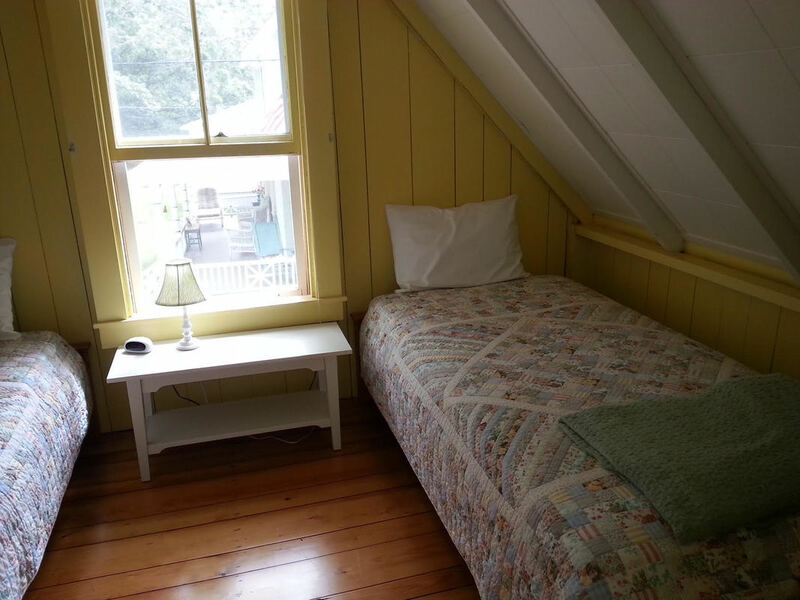 Upstairs, you’ll find two bedrooms: one with a full-size bed, and one with two twin beds. Downstairs, the screened porch has a day bed, and the couch pulls out to a queen-size bed so everyone in the family has a space. For your convenience, the cottage also offers a full-size washer and dryer and a parking space directly across the one-way road. 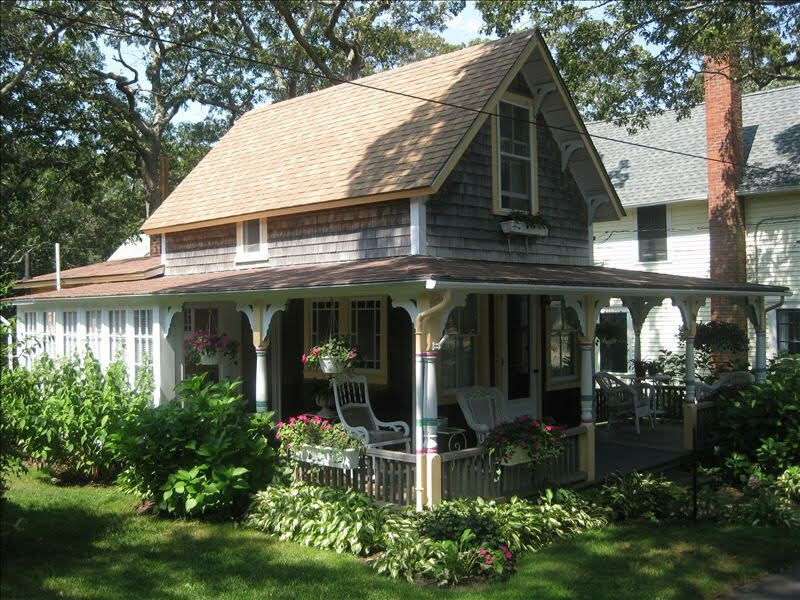 Relax with your morning coffee on the porch as you watch the world go by, or take a short stroll to downtown Oak Bluffs to enjoy the beach, Flying Horses carousel, restaurants, and shops. This cottage is the perfect place to start a new summer tradition! No smoking or pets. Weekly rate $1,800 plus refundable security deposit of $300. Sleeps: Up to 6 people. 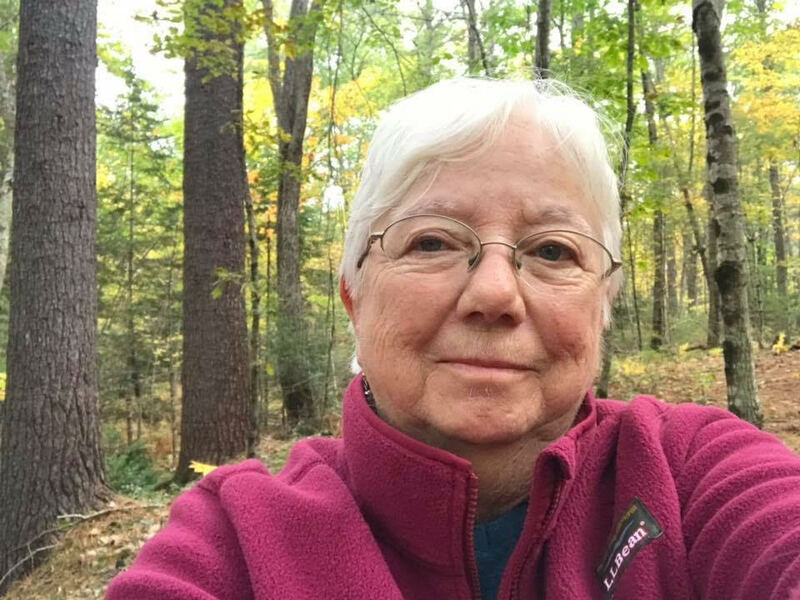 Dana Gauthier at [email protected] or by calling (781) 308-0371.